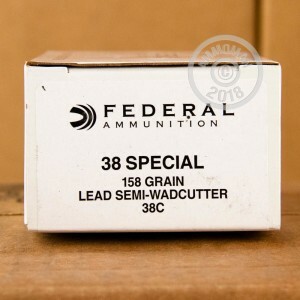 This specialized .38 Special target shooting ammunition from Federal features a flat-nosed wadcutter bullet designed to punch a nice, clean hole in paper targets. This makes it easier to see your hits at typical pistol ranges from 7 to 25 yards. 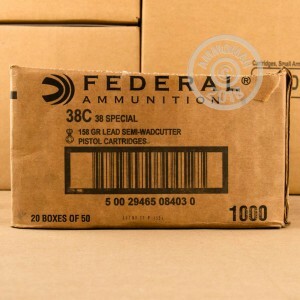 Each cartridge in this box of 50 fires a heavy 158 grain semi-wadcutter projectile at a muzzle velocity of 760 feet per second. 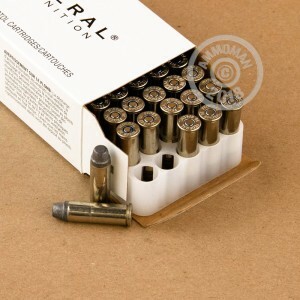 Like most standard pressure .38 Special loads, it produces mild recoil and great accuracy.